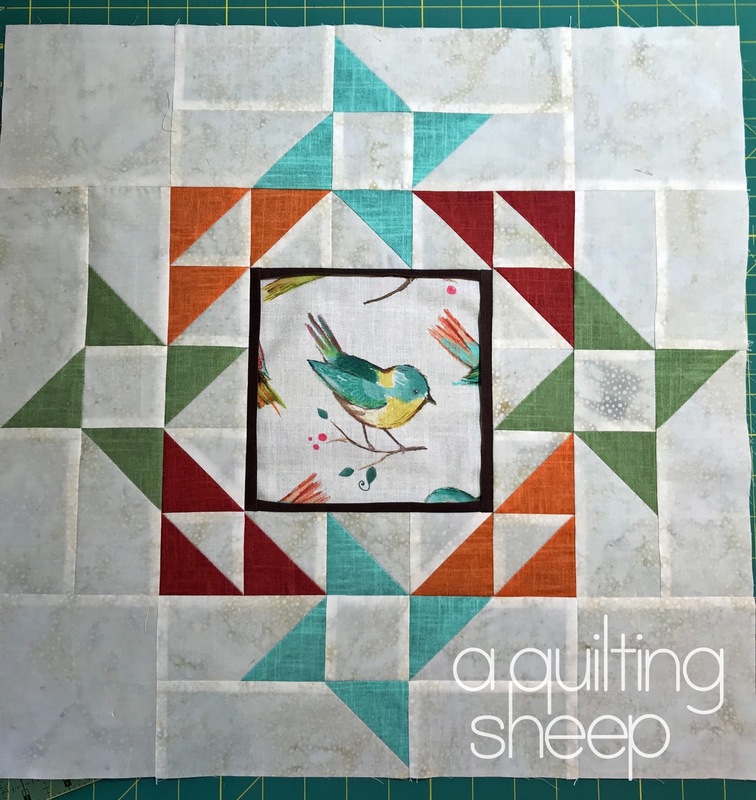 A Quilting Sheep: Fall is here! Your one-block quilt will be really comfy on your couch, and it turned out really pretty. I love the half-square frame around the birdie, with the stars as an extra. I don't recall ever seeing one like that before. Of course the kids will love the little bags. That's a great idea too! 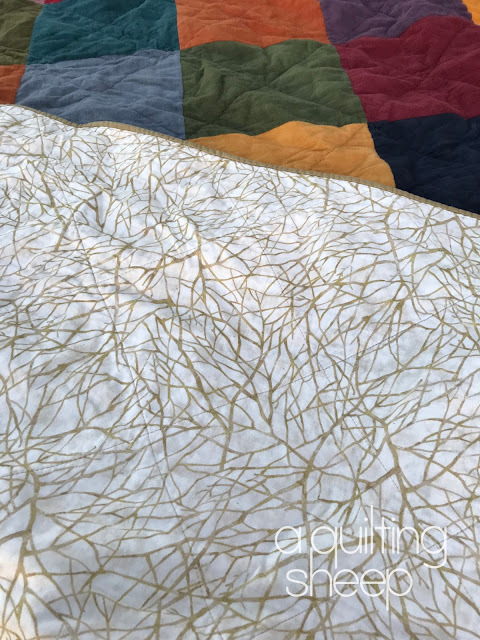 ---"Love"
Beautiful flannel quilt - and I love the backing!! I love my Fall - maybe it is the cozy feeling the cool days bring on, with soups and stews simmering away on the stove. 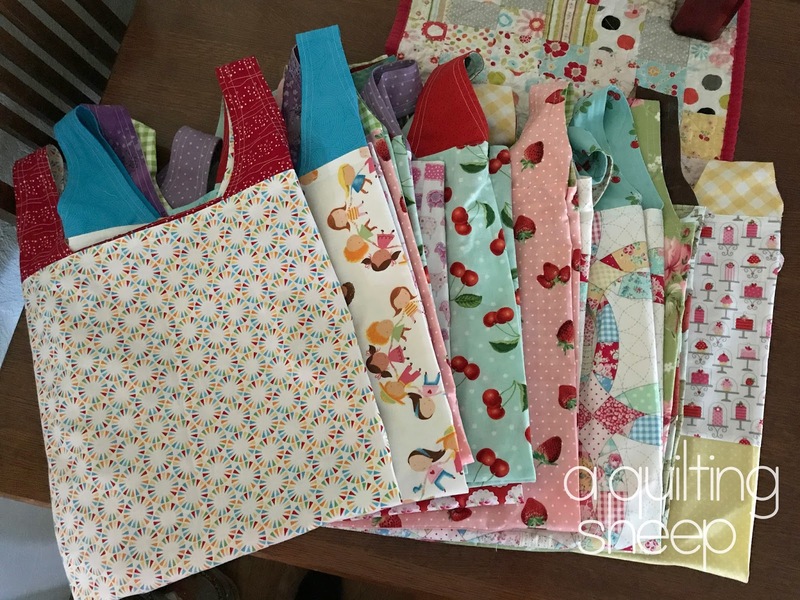 Love the bags you made - cute, and super useful. What a beautiful quilt for your shop sample. Love how the friendship star blocks surround the center bird panel. Wow your cuddle quilt looks so rich and luxurious. Cute block, love the little bird but the friendship stars are kind of cool too. Love that shopping bag pattern. I have used it to make a bag out of the heavy plastic chicken bags too. That birdie is just darling. I need to make some shopping bags, I have an easy pattern for them, just not enough fabric...maybe I could make a big enough patchwork piece! I know I could cuddle with your beautiful fall quilt! It looks soft and inviting. Especially on a rainy Saturday morning with my new devotional!! Thank you for the link to the shopping bags. A great idea to include them in Operation Christmas Child boxes! I love the bird fabric and the quilt block you made with it. I would love to have a kit for that quilt but I do live a ways away. The bags are great for Operation Christmas Child, we are participating in that at our church but I have not time for sewing before then. I will have to plan ahead next time. Thank you for visiting my blog and being so encouraging. It is appreciated. 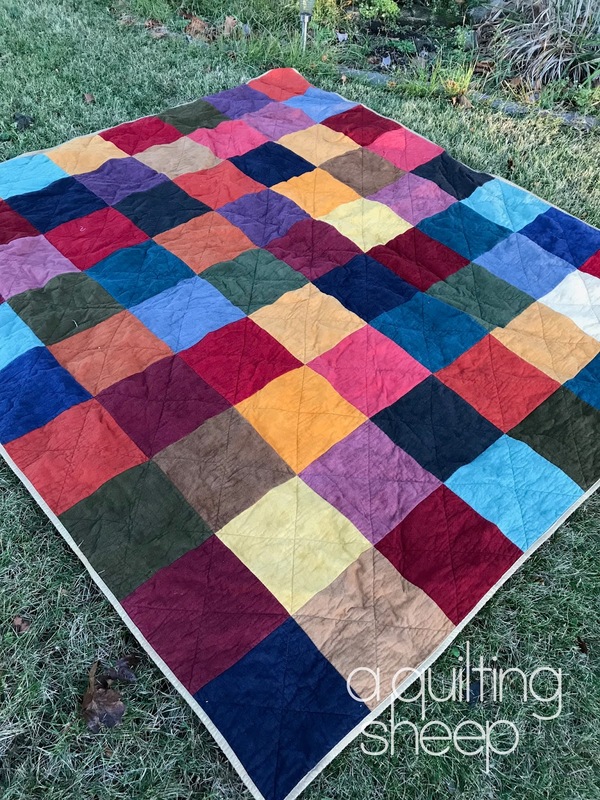 I love the jewel tones in your flannel quilt, it will be so warm and soft this winter. Red, White, PINK and Blue: The Results are in!